Here we give you an advance warning of the coming Eclipses in 2019. Worth noting that January has two eclipses a Solar Eclipse on 5-6 January and a Lunar Eclipse on 20-21 January. 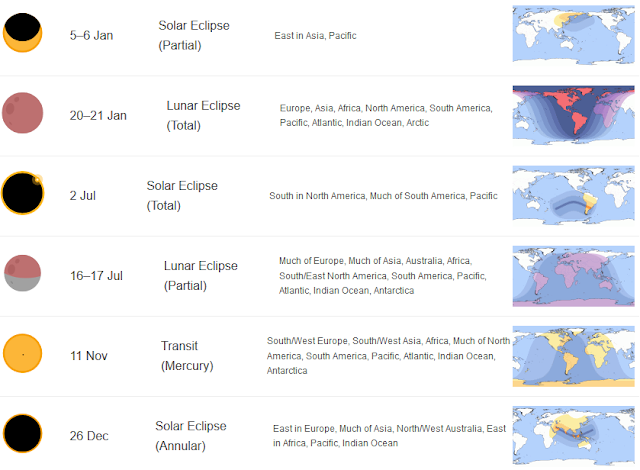 Not to go a miss July also has two eclipses. One Solar Eclipse on 2nd Jupy and the other a Lunar Eclipse on 16-17 July. Also a day after Xmas Day on 26th December 2019 we should have a Solar Eclipse.